The Grand Opening of Lavendon Village Hall will take place on Saturday, 9th July 2016, from 2pm. 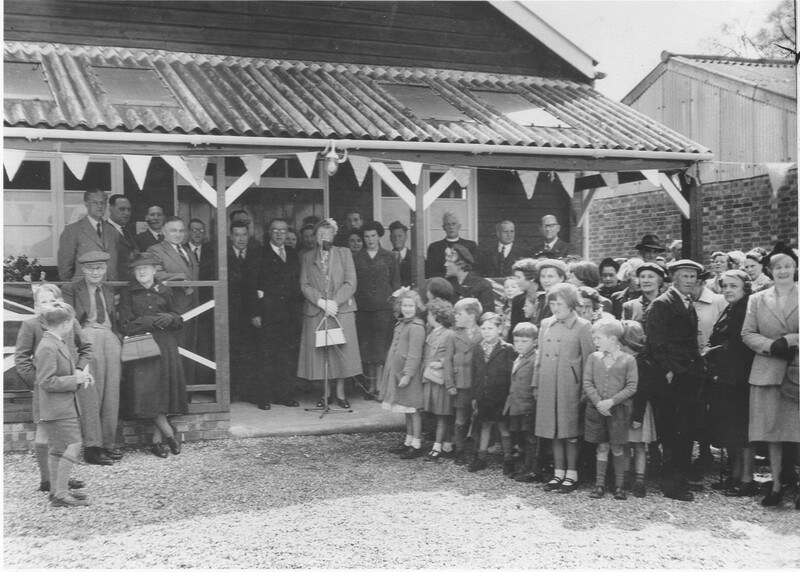 Lavendon Village Hall was officially opened on 7th May 1955 by Courteney Hope of BBC radio’s “The Archers” fame. The present Lavendon Village Hall was originally the site for an ex-Army Officers’ Pavilion that was purchased in 1953 for the princely sum of £650 and officially opened in May, 1955. Since then it has been re-designed several times in order to increase its size and add to its facilities. Some years ago, it was decided to embark on an extensive modernisation programme and work on the first phase started just before Christmas 2012. Chunks of work for this ambitious refurbishment programme, named Project Diamond, were built as and when funds permitted, using village volunteers or mainly local specialist contractors. The work was funded from a number of sources: fund-raising events, a generous local Company, local individual and organisation donors, the Milton Keynes Community Foundation, Local Giving and a large international Company. This money has enabled the £110,000+ Project Diamond programme to be completed. We now have a new boiler house, reconstructed ladies and gents toilets, a new wheel-chair accessible toilet, a kitchen, fitted out to a high commercial standard, a re-configured bar area, a widened corridor, fitted out with attractive doors, an eye-catching entrance to the hall, with circular steps and matching canopy. The tarmacadam surface around the front of the hall will also be resurfaced. To commemorate the completion of this work, we are organising a Grand Opening on Saturday, 9th July. It will begin at 2pm, with children and adults attired in red, white and blue outfits, marching from the new Salt Box housing development and making its way to the Hall, where William Tusting will perform the tape-cutting ceremony at 2.30. The general public will then be invited into the Hall, which has charitable status, where refreshments will be served and the red, white and blue outfits will be judged. As well as a variety of displays and activities, regular users of the Hall will be show-casing what they have to offer around the periphery of the Hall. Do come along with family and friends.